Quality Made Durable Solar Lights Canada & U.S.
Wireless Solar Lighting Products From free-light Make the Grade! Quality Made Durable Solar Lights. Galaxy (White). Post Mount Solar Light. 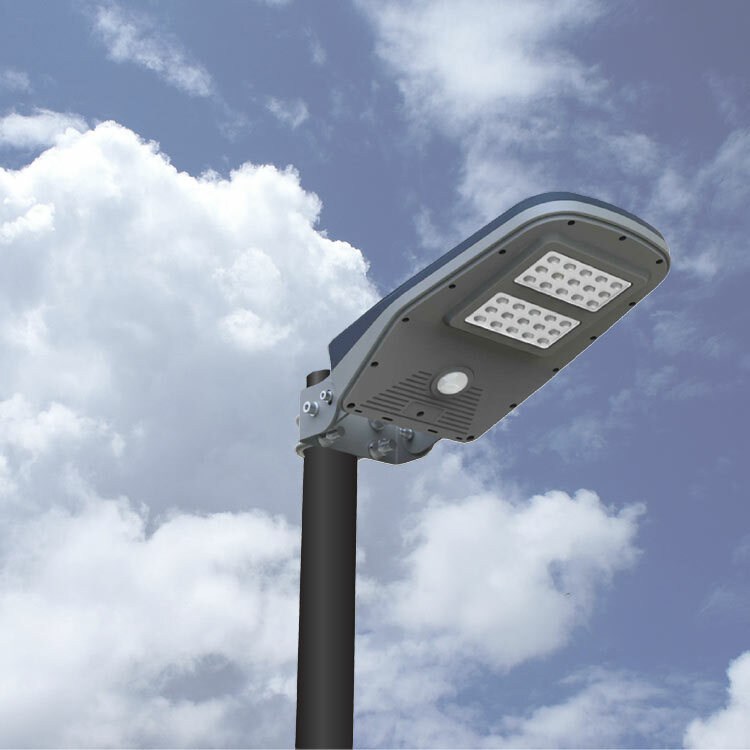 The Galaxy White post mount solar lights offer lots of solar light from a very small footprint. Automatically turns on at night and stays on for up 12 hours. The solar light has a power switch for vacation mode. Easy installation with only 3 screws. The base mounts to a standard 3" post, so it is easy to replace failed electrical fixtures. 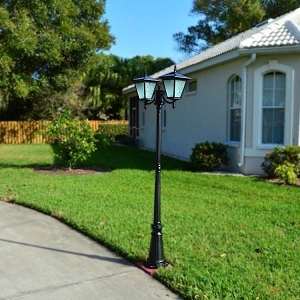 Great solar light for entrance pillars, brick columns and electrical posts. Installs in seconds, brightens for hours, lasts for years. 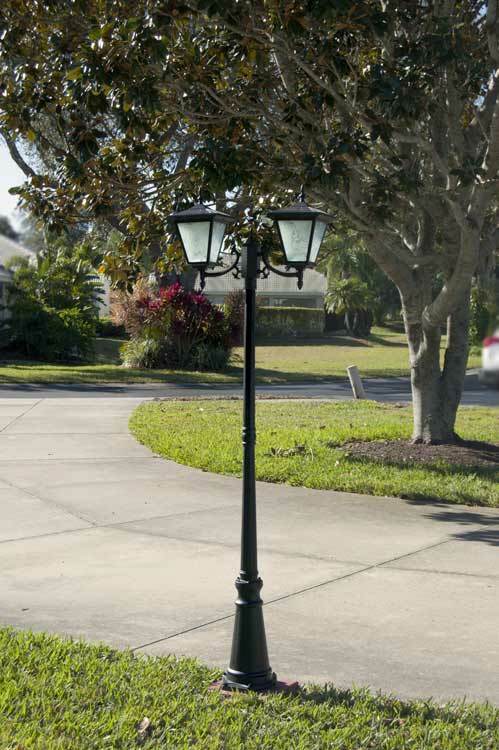 See all of our Column Pillar and Post Solar Lights. Courtyard Galaxy (Black) 2 Head Solar Light. The GALAXY solar courtyard/driveway light offers lots of solar light from its two light heads. Each head has 4pcs x 1W glass covered mono crystalline type, and 12 pcs of natural white light. Automatically turns on at night and stays on for up 10 hours. Each of the solar light heads has a power switch for vacation mode. Easy and quick installation. 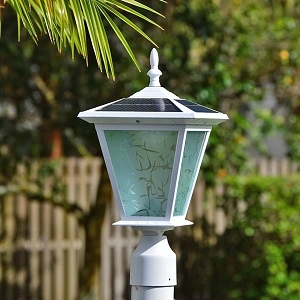 Great solar light for entrances, driveways and courtyards. Some assembly required. Browse all the free-light Courtyard Solar Lights in our catalogue. Driveway Parking Solar Lights - RA10. 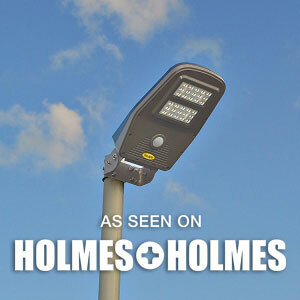 Works great for yards, trails, boathouses, campgrounds and small parking lots or parking areas. Requires NO electrical lines - just the sun. Easy to install on a post or wall, the RA10 comes complete with motion sensor. It will automatically turn on at 33% brightness and go to 100% brightness for 30 seconds when someone walks by. RA10 has approximately 18 hours of lighting time on a full charge. The light pattern is approximately 25' x 12' when mounted at 9.5' above the ground. Want to see more durable quality made Driveway Parking Area Solar Lights? Pathway Solar Light - Capitol. Offers up to 15' of natural light for pathways or walkways. Check out the compact body design. Picture Capitol around your front or back pathways and walkways, on your deck, around your pool or on your steps. Installation is so easy. All you have to do is bolt the battery bracket in place, turn on the power switch and attach the light body to the battery bracket. Embrace the power of the sun with solar lights from free-light. Solar the way it should be. No wires... just add sun. Check out all the Garden and Deck Solar Lights here in our catalogue. 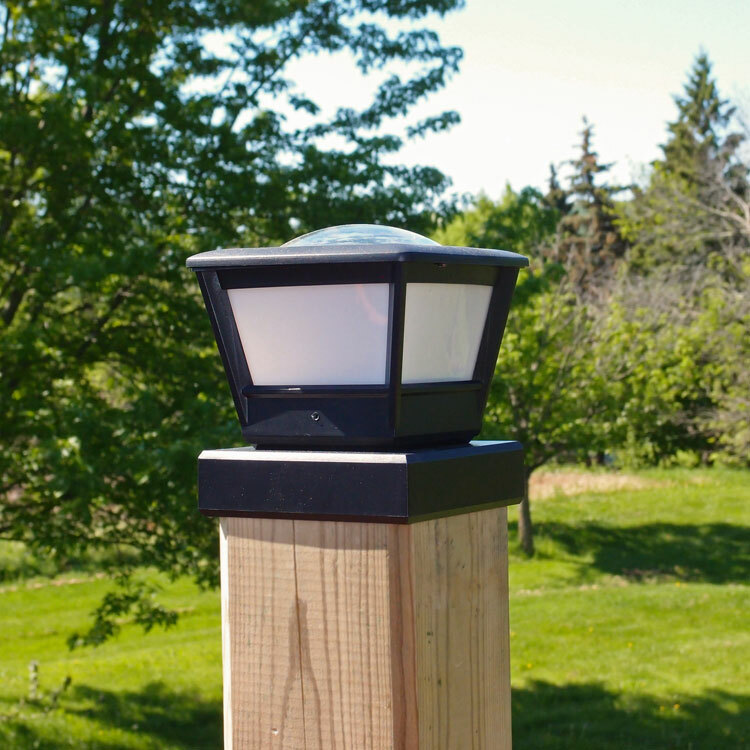 Fence Post Solar Light - Coach in 5x5 and 6x6 configurations. 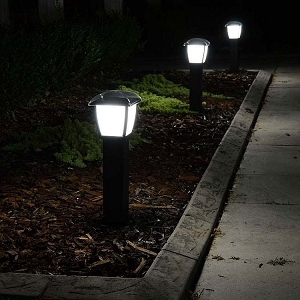 Stylish solar lights with high light output. Eight super bright LEDs and large lens give superb light output. You'll be the envy of the neighbourhood. Coach 6 is our newest premium quality fence post cap. Like all free-light solar lighting products, it's built to last - and we guarantee it! Coach 6 has more than three nights of storage charge in the event of bad weather. The domed cover lets leaves and snow slide off to continue efficiently charge the light year after year. See all our Fence Post Caps now. p.s. Grandparents Day is Sunday, September 10. Show them how much you care with gifts that keep on giving from free-light! Solar Courtyard Light - GALAXY BLACK. 2 Head Solar Light for Courtyard and Driveway. 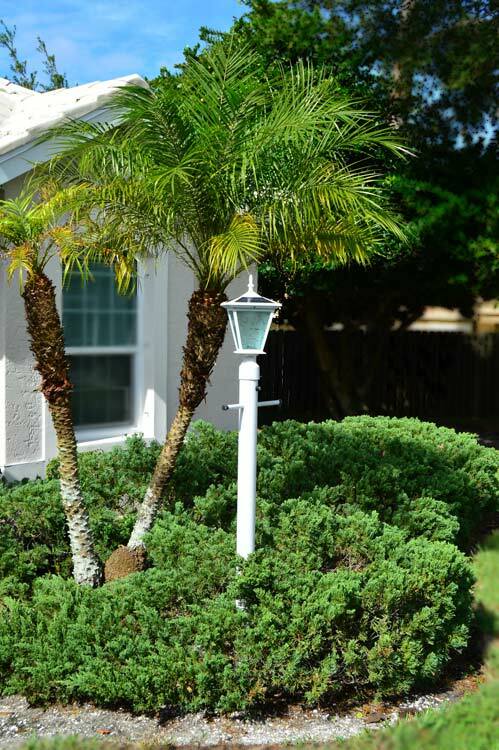 GALAXY White Post Mount Solar Light for Entrance Pillars, Brick Columns and Electrical Posts.